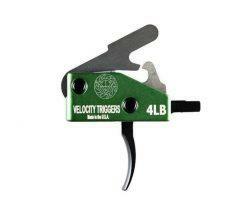 Based in Phoenix, AZ, Velocity Triggers' owner Tom Vehr has over 30 years of experience in precision trigger design. The Velocity line of drop-in triggers is the result of all of that experience. 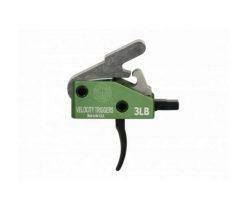 Each Velocity AR15 Trigger goes through a rigorous manufacturing, assembly and quality assurance testing process. 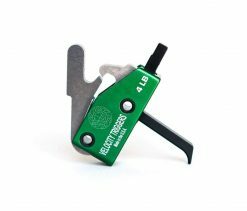 Each trigger is made in the USA using EDM wire technology; the hammer, trigger and disconnect are constructed using heat treated tool steel. Each trigger then gets a black oxide treatment and is hand polished, resulting in an exceptionally smooth trigger pull and break. If that wasn't enough, the hammer and disconnect are treated with NP3 (a finish consisting of Teflon and electroless nickel) which increases the lubricity, lowers the friction and increases the service life of the trigger. The housing is machined from 6061 T6 billet aluminum.